The morning activity consisted of a bike ride to the horse stables, which also feature an adorable petting zoo. Goats, deer, pigs, llamas, rams…and let me tell you, those animals are enjoying life. 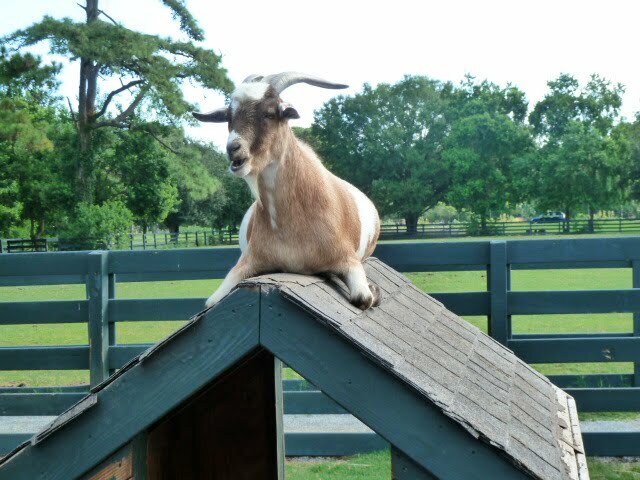 Each goat had its own little house. The highlight of our day was a cruise we took in the sound, where we saw lots of dolphins. You cannot appreciate how exciting this was for little Sophie, whose absolute FAVORITE animal is the dolphin. We had to bide our time during the first part of the boat ride – no dolphins to be found. The girls were good sports, however. They settled for jellyfish in the absence of the marine mammals. 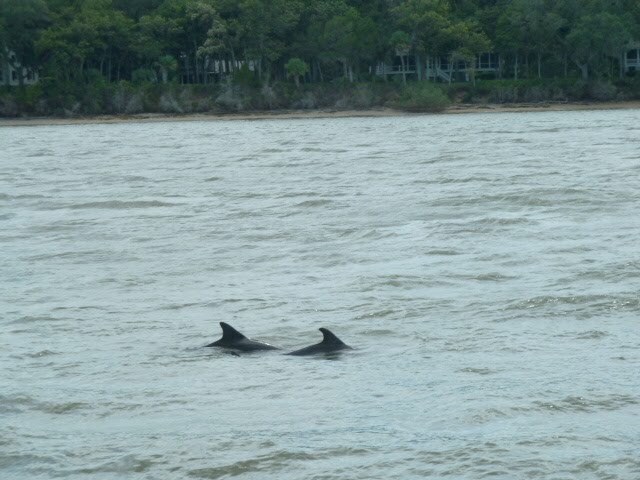 But as we were heading back north, the dolphins appeared. Apparently, there’s a herd of about 150 of them that make the waters surrounding the island their year-round home. On the agenda for tomorrow – the beach! Again! Previous PostThe Beach!Next PostTennis, Anyone?